At Ngamba Island activities include welfare of individual captive chimpanzees entrusted to its care, long-term management of a sanctuary for confiscated individuals that may seek critical care and treatment and also to confine some individuals which seems to be so much destructive to the surrounding community within the relevant ecotourism sites. The sanctuary was also set to educate the public on conservation move towards wildlife and tourism in general. 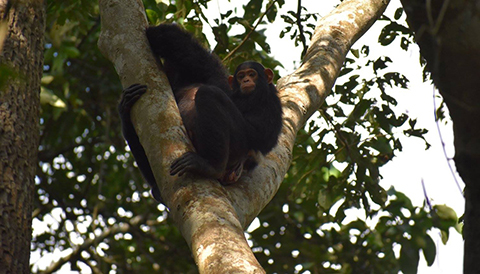 A Day Tour to Ngamba Chimpanzee Island includes:- A return transfer from Kampala; transfer by speed boat inside Lake Victoria, Entrance fees, Lunch at Ngamba Island, entrance to UWEC but excludes any other personal items. A Day Tour to Ngamba Chimpanzee Island excludes expenses of personal nature like: Air fare, Visa, drinks, laundry, tips to local guides, telephone, porter fee while trekking, personal insurance, personal shopping bills and cigars.